When night came the skirmish line of the regiment was advanced about a hundred yards farther. 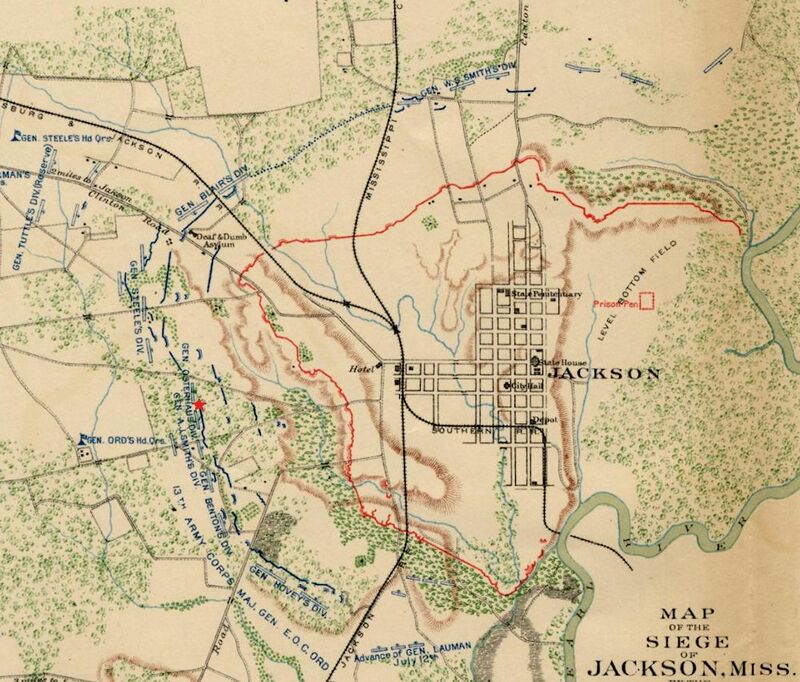 Blue pin - approximate position of 16th Ohio with Gen. Osterhaus' Ninth Division from June 24 to July 6, 1863, while guarding Grant's siege at Vicksburg from attack by Confederate General Joe Johnston. Red pin - approximate campsite of 16th Ohio the night of July 6, 1863, after marching east from Bovina Station. Green pin - Near Bolton Station, Mississippi, approximate campsite of 16th Ohio the night of July 7, 1863, after marching east from Edwards Depot. Yellow pin - a point about four miles past Bolton, Mississippi, where the 16th Ohio camped the night of July 8, 1863. 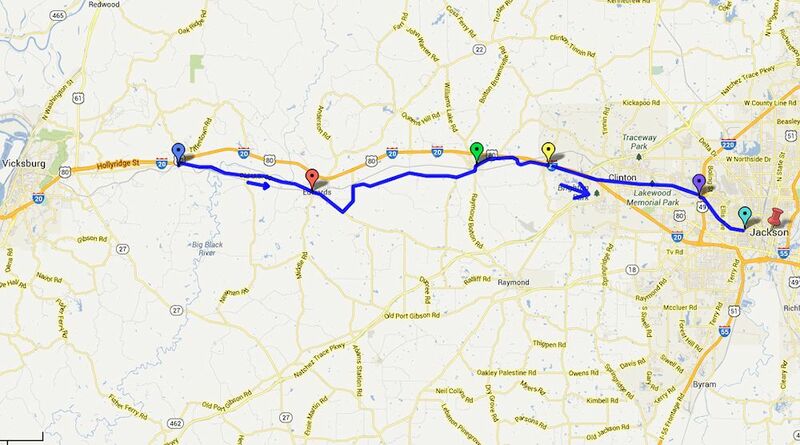 Purple pin - a point about four miles east of Jackson, Mississippi, where the 16th Ohio camped the night of July 9, 1863. Aqua pin - the approximate position of the 16th Ohio after taking up positions outside the Confederate fortifications at Jackson, Mississippi, on July 10, 1863. Red pushpin - site of Mississippi State Capitol during the Civil War; Gen. Osterhaus' division and the 16th Ohio were positioned 1 1/2 miles due west of here.